The Scholar for a Day is a day-long seminar, organized by Penn graduate students of all disciplines, designed to provide students and faculty with exposure to a leading scholar in African Studies. The event allows for intensive engagement with authors of significant theoretical approaches to Africanist scholarship as well as providing an opportunity to gain insight into the professional process--the evolution of new empirical and theoretical interests, the methodologies of research and writing, and the process of collaboration between scholars. Derek Peterson received a Ph.D. in African History from the University of Minnesota in 2000. He taught for several years at the College of New Jersey, then took up a lectureship in African History at the University of Cambridge. From 2004 to 2009 he was Director of the Centre of African Studies and Fellow of Selwyn College, Cambridge. In 2007 he was awarded the Philip Leverhulme Prize, given to scholars based at Britain universities (under 36 years old) for accomplishments in research. In 2009 he was elected Fellow of the Royal Historical Society. 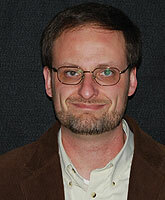 He joined the History Department at Michigan in 2009..